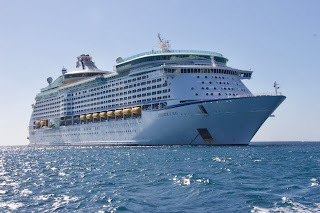 I'm currently on Day 4 of a nine day cruise with Royal Caribbean. This is a normal cruise and not a special "keto" cruise. 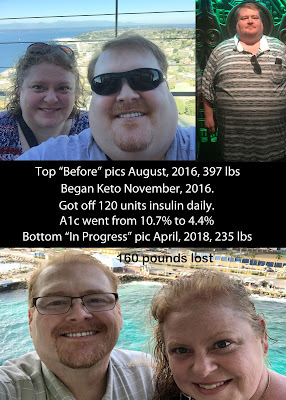 I have been on several cruises in the past, but they were all pre-keto and very carb laden. I never turned down desert or bread previously. Now I'm looking at the dining options through a new lens, with low-carb high-fat eating as the goal. I'm also still practicing time restricted eating, eating only lunch and dinner. I did a 3 day fast on prior to leaving including one day of airline travel. My intent is not to fast again until after the vacation. The last couple of days I've been struggling. 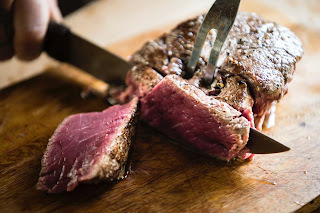 I haven't intentionally eaten anything that isn't keto approved. But I think there must be some hidden carbs. For example, one of my go to meals when I'm dining out is a burger with mayonnaise. This gives me a low carb option with some extra fat. However they used Heinz mayonnaise on the ship. The third ingredient is corn syrup. I also tried to eat just the meat out of some tacos at the on-board Mexican restaurant, but I think there may have been some sugar in the sauce for the pork. My am blood glucose readings have been 104, 106 and 108 the last three days. It is very rare recently for it to be over 100, and usually averages in the 80s. It has also been hard to find ways to add fat to my diet. I did bring some macadamia nuts along, which has helped. But sometimes the low carb options happen to be low fat as well. And I don't know if I can trust the fatty dressings to not have any additional carbs. I'm used to heavy whipping cream with my coffee when I'm not fasting, but they only have half-and-half. Another possible culprit is Sugar-Free Red Bull. I'm playing some poker at night on the cruise, so I've usually had Sugar-Free Red Bull to give my energy level a little boost at night. However it turns out it has 3 grams of carbs. While this isn't a lot, it is out side of my eating window and I may already be getting more carbs than I'm counting on hidden in the foods I'm eating. My blood ketones have been dropping too. Normally I'm somewhere between 1.0 and 2.0 when I'm not fasting, higher when I am. The last two days I've been at 0.8 and 0.6 respectively. While this is still at the lower end of nutritional ketosis, I think it's a sign that something could be better. There is one last item I've thought of that could be impacting my insulin and glucose. That is sleep. I've not been sleeping well on this vacation, only getting 3-5 hours of sleep each night. I do notice that when I don't get enough sleep my glucose reading rise and my ketones drop. So here is my plan of attack. I'm going to make a concerted effort go improve my sleep. I may take some benadryl tonight to help me sleep soundly. While I don't think this is advisable on a regular basis, I'm going to try it to see if I can get one good night's seep. Second, no more Sugar-free Red Bull. If I'm sleeping better that will be less needed anyway. I'll stick to coffee if I feel I need a pick-me-up. Third I'll try to do a little better at finding hidden carbs. That is a little challenging when eating out, especially when the wait staff may not understand what the ingredients are in all of the dishes, but I'll try to pick choices that are likely to be safer. If my blood glucose reading continue to rise, I may have to find a day to fast. But I really only want to fast if I am sleeping well since fasting tends to make me a lighter sleeper. I'm going to continue to enjoy my cruise while I keep calm and keto on. This is a lifelong journey and I will strive to make better choices even if they aren't perfect. As Megan Ramos says, "Progress not perfection.". I don't know when my next post will be, but I will definitely recap my cruising results when I return from home. In the meantime you can read my last blog post about a surprise celebrity appearance at our last keto meetup.